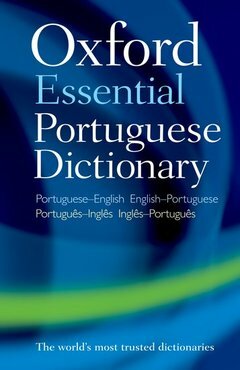 The Oxford Essential Portuguese Dictionary is a compact Portuguese-English and English-Portuguese dictionary that offers up-to-date coverage of all the essential day-to-day vocabulary with over 40,000 words and phrases and 60,000 translations. This dictionary is easy to use and ideal for travel, work, or study. The latest words in each language have been added, reflecting all aspects of life today, from computing and technology to lifestyle and business. Additional features include guides to Portuguese and English pronunciation, as well as help with both Portuguese and English verbs. The dictionary is based on Brazilian Portuguese with extra information where European Portuguese is different. All the latest spelling reforms have been included. The Oxford Essential Portuguese Dictionary is ideal for anyone in need of a handy quick reference. An essential book for the study of Portuguese.